What's Really in a Name? Can an Ivy League School Really Get You a Job? What’s Really in a Name? Can an Ivy League School Really Get You a Job? Good Morning Everyone. Today is the next post in our “Me, My College Education and My Money” series. Yesterday we discussed how to choose the best College for us, and today we are going to continue along with that same idea…sort of. Yesterday we discussed factors that may help us choose which college to attend such as the proximity to home, which colleges are friends are applying to, as well as the cost of living in the city where we wish to attend college. Today we are discussing the actual schools, their names, their reputations, and what they symbolize for potential employers in the real world. Was the name of a college a deciding factor when you were deciding which colleges to apply to? Some people dream of going to an Ivy League school because they will receive a top notch education. But some students want to attend an Ivy League school because it looks good on their resume. Before we continue I would like to remind you that Mark Zuckerberg, the creator of Facebook, is a Harvard drop out. I would also like to note that President Obama is a graduate of Harvard Law School. This is just something to think about. Ivy League schools include Columbia University in New York City, Cornell University in Ithaca New York, Dartmouth College in New Hampshire, Yale University in Connecticut, Harvard University in Massachusetts, Princeton University in New Jersey, University of Pennsylvania in Philadelphia, and Brown University in Rhode Island. 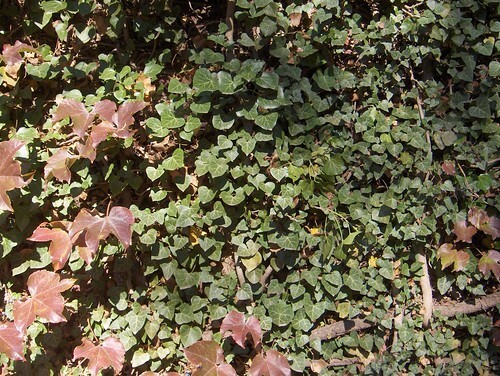 These schools were named the Ivy League because they all have luscious green leaves of ivy plants flowing down their brick and cement walls. Attending an Ivy League School definitely looks good on our resume, and employers may be very impressed with our academic ability to be accepted at a prestigious Ivy League School. However, does the cost of an Ivy League education really give us an advantage in the job market after graduation? It is no secret that attending an Ivy League School can help you make valuable connections with alumni, professors, and potential employers; but who is to say that these valuable connections cannot also be made at a Community College? Having attended an Ivy League School definitely looks good on our resume, and there is no doubt that it can definitely get us an interview with potential employers. However it is very expensive to attend an Ivy League School and education is not everything that employers look at when we are applying for jobs after graduation. During the interview process our work experience, volunteer activities, as well as our personality can score big points for us with potential employers. At the Financial Institution where I work we will interview almost everyone with a College Degree and some type of work experience. However, it is really the interview and the candidates personally that determines whether they will be asked for a second interview. It is great to have educated employees, but if they cannot work well in a team with other people or with customers then they cannot work in a Financial Institution, or almost anywhere for that matter. Keep in mind that a good education is a key factor in getting our resume to the top of the pile, but our personality and work experience determines whether or not we get the job. Attending an Ivy League school is definitely an icing on the cake. But I agree with you that it is our knowledge and experience that helps us get a job and keep it. We have to look at the return on investment of attending a very expensive school. Nice article. Thank you Eric. Sometimes I wish I attended an Ivy League School for the campus experience and the college living on campus. I attended a University campus in the middle of a big city so I didn’t really get to experience the stone buildings with the big gates. But nevertheless I worked hard, I got a college education now I have a great job so that’s what really matters.